Today morning, very dense fog made an appearance over many parts of North India including Delhi and NCR, many parts of Punjab, Haryana and North Rajasthan. 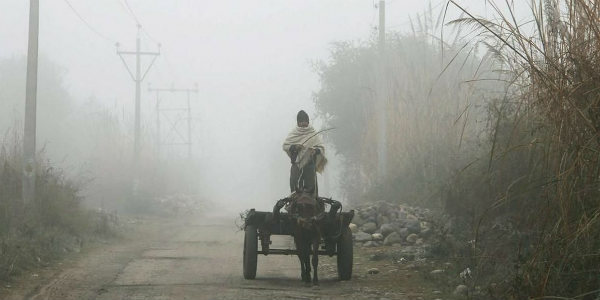 The reason for a thick foggy morning is attributed to the fact that for the past two days, a Western Disturbance was persisting over the Western Himalayas along with which an induced Cyclonic Circulation was over North Rajasthan and adjoining areas leading to change in wind direction from northeasterly to southeasterly. Southeasterly winds increase the humidity levels. Isolated rains were also observed over parts of Haryana. Due to increased humidity, low temperature and light winds, dense to very dense fog has occurred at many places. Today, visibility at Amritsar was nil, and the visibility was also less at Hisar, Sultanpur, Agra, Varanasi, Lucknow. 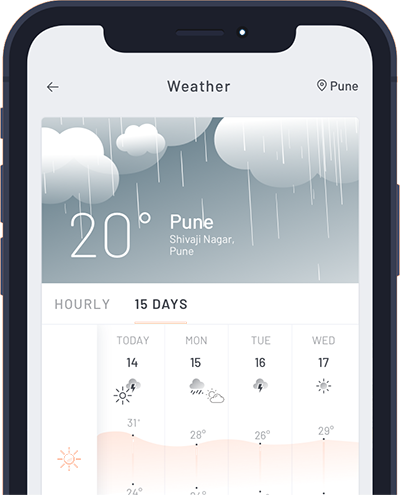 Until now, dense fog had not been observed as winter rains were quite less due to which decreased humidity levels which led to clear weather conditions. Now, winds will once again change their course and start blowing from northwest direction. Thus, for some time, the intensity of fog will reduce. Another Western Disturbance will approach the Western Himalayas on January 4, which will continue to affect the hills until January 6 which will once again cause winds to become southeasterly. Therefore, January 7 onward, dense to very dense fog is expected to make an appearance over Northern Plains. Intensity of fog during that time will be much more and visibility may drop down to zero. The reason for foggy mornings will be attributed to the scattered rainfall which is expected to take place over West Uttar Pradesh, Delhi NCR, Punjab, Haryana and North Rajasthan on January 5 night and January 6. These rains will increase the humidity levels, along with which winds will be very light in nature. Thus, with increased humidity levels, light winds and low temperatures, fog will once again grip many parts of North India.